It was such a beautiful Saturday! The sun was shining, it was warm and no wind! Perfect day! 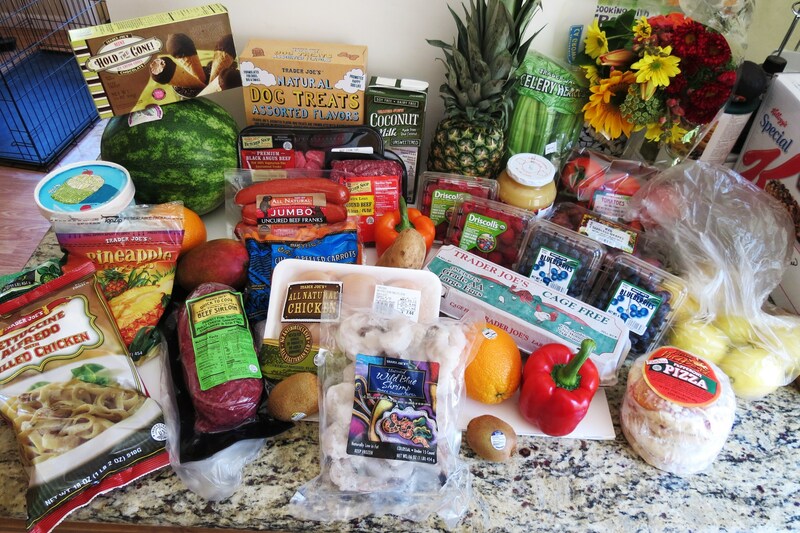 I got up early, did a little blogging, than headed to the Farmers Market and Trader Joe’s. Than I came home, read my magazines outside, and then made a wonderful dinner. I love this time of year, I get that spring fever feeling and I just want to be outside! The Farmers Market had so many goodies today! They had fat cherries, nectarines, peaches, apricots and so much more. I swear I could go crazy buying everything in sight! Plus the smell of kettle corn, oh my gosh! Do you know how hard it is to control yourself when you get whiffs of kettle corn? I was a good girl and didn’t buy any, but I was tempted! But here is what I bought! You know me and my strawberries, I had to stock up! Everything here is organic. I do try to stick to organic, if I can. I only spent $20.00 on all these goodies. I have to be careful not to over buy because this week because I’ll be getting my CSA package, and I never know what there going to send me. I also headed to Trader Joe’s and picked up some much-needed groceries. We had nothing in my house!! This is what I got there. I didn’t buy any new items, just restocking my pantry. I didn’t do to bad for $125.00. I got chicken, trip tip, sirloin and shrimp, plus my regular items. I really do love the pricing of Trader Joe’s. Oh, by the way I updated my Trader Joe’s page. For some reason my font changed and I had to re-type the whole page today. It took my 3 hours. What a pain in the behind. I did get something crazy today! 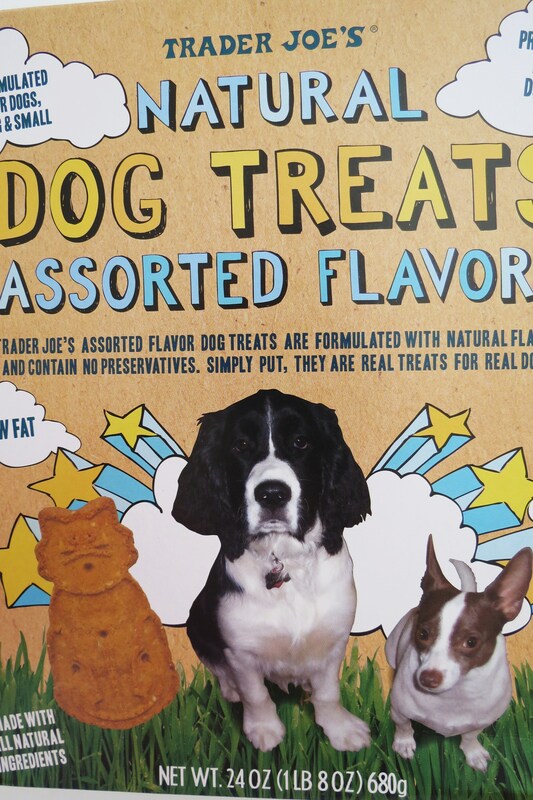 I got a text message from my dog, and he said “If you know what is good for you, you better bring me my Trader Joe bones, or don’t bother coming home!” Geez! What a mean dog! Well when I was gone, my Husband ran out of bones, in panic he called me and said, what do I do? I said go to Trader Joe’s and buy more. He was like no way! I don’t think my Husband has ever gone in TJ’s by himself. So I told him to give them baby carrots. He did that, but he said Samantha won’t eat them. She would spit them out and say “Hell No!”, but the boy ate them. When I came home I gave Samantha a carrot in front of him and you know what? She took it and ate it. My Husband was like no way she wouldn’t eat them when you weren’t home. Well needless to say I got them their dog bones! They were so happy!!! Remember yesterday when I said I have a wonderful appetizer that I was going to make? I made it and I love it!!! I made a spicy Grilled Jalapeno Popper. Oh my Gosh!! They are amazing! 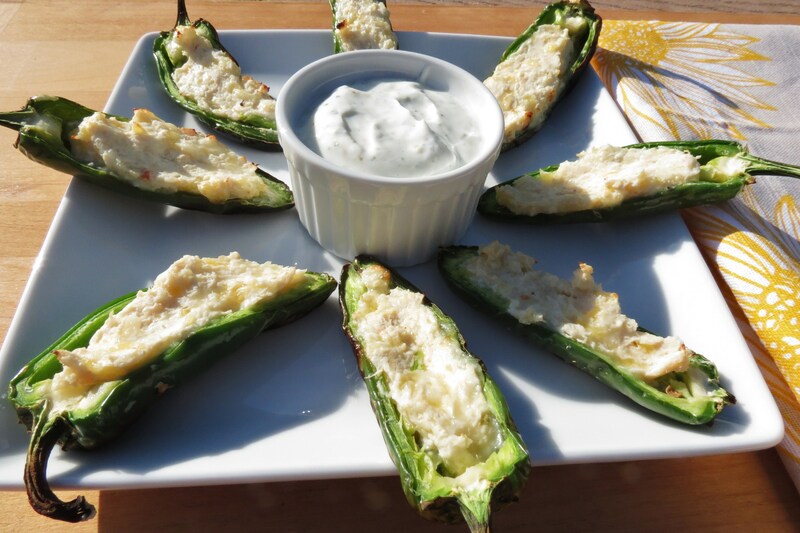 I like them better than regular Jalapeno Poppers. I liked them so much I bought a jalapeno plant for my garden. I’ll be planting that tomorrow morning! 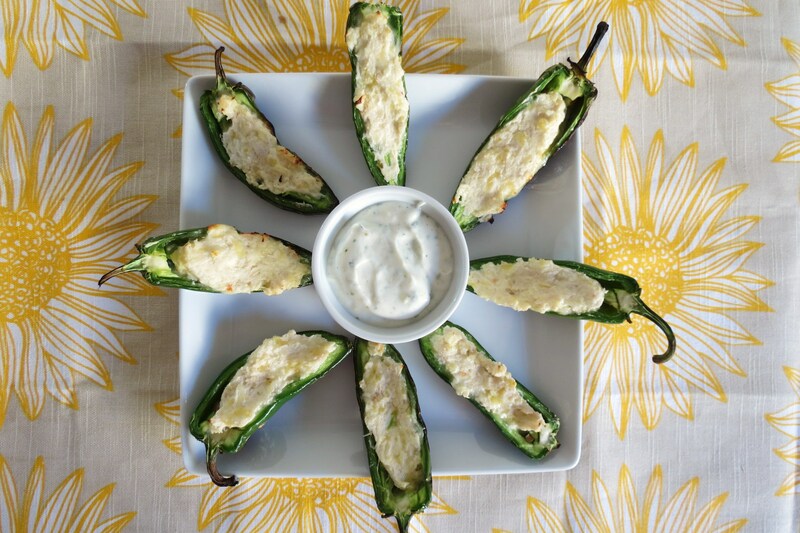 These poppers are filled with shredded chicken, pepper jack cheese and cream cheese. Holy Heavens is it good!! 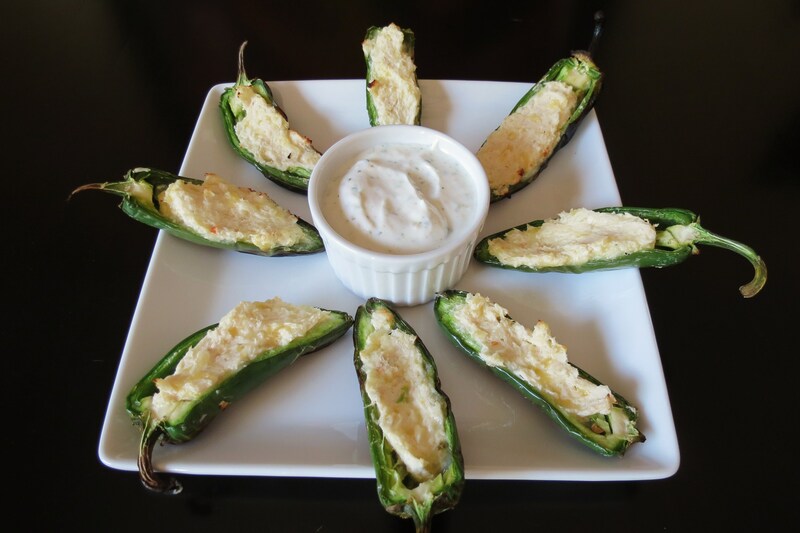 Some of the jalapeno’s have more of a kick than the others, so you never know how hot it’s going to be until you take that bite. To cool the heat down I served it with a side of my Ranch Dressing. I was shocked my Husband said he liked my Ranch Dressing. I told him it was made with yogurt and he looked at me in shock. He doesn’t like yogurt. I think he doesn’t on purpose because I love it!!! I have to give you a warning though! When you cook with jalapeno’s you should wear gloves. The oil from them will burn, and burn for hours. That happened to me once and I cried. My hands were burning for hours, and I mean hours! If you get it on your hand, don’t touch any part of your body or it will spread. Wash your hands with soap for a long time. So please wear gloves, use a paper towel or something when you cut them. Also don’t breath when you cut them. The fumes start to cut my oxygen from my throat. I always cut them under cold water. Yes, it’s the price you have to pay when you use hot peppers, but well worth it. As you can tell it doesn’t stop me! 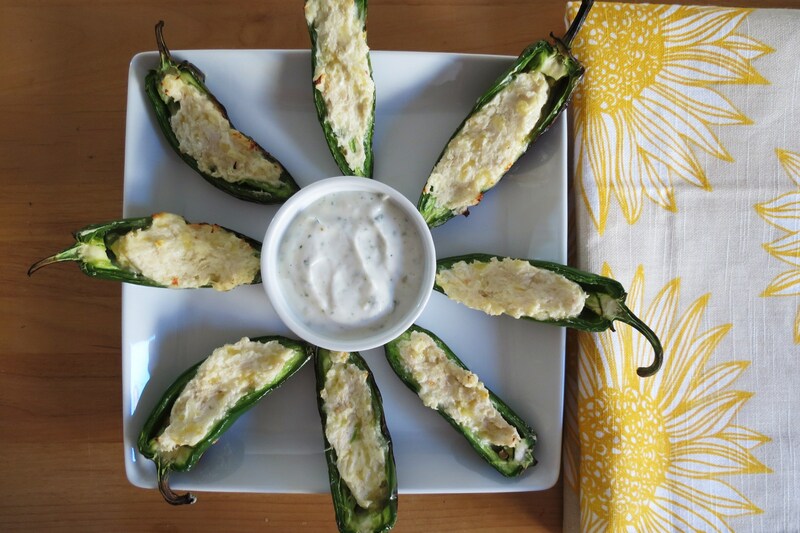 A spicy twist to Jalapeno Poppers. Made with shredded chicken, cream cheese and pepper jack cheese, grilled to perfection. In a bowl add cream cheese, pepper jack cheese and chicken. Mix until combined. 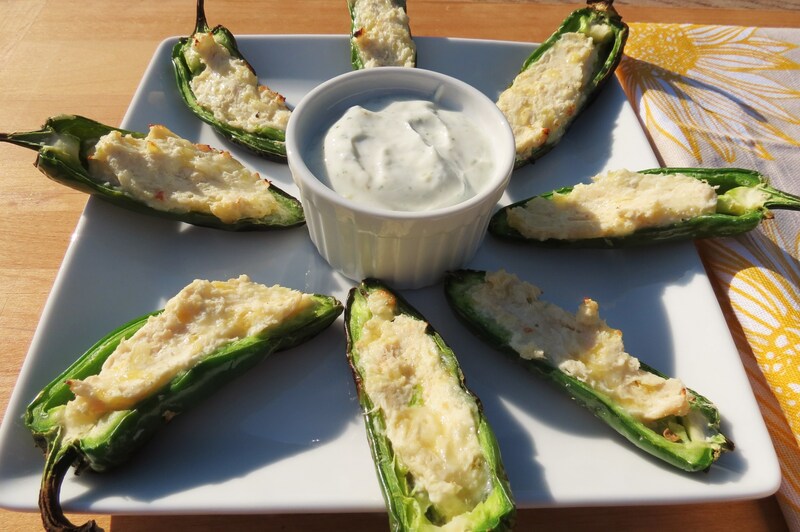 Stuff the jalapenos with cheese mixture. Spray grill with cooking spray,over low to medium heat add jalapenos onto grill. Cook until cheese is melted, about 3 to 5 minutes. Well time for me to go. My Husband is itching to do something tonight, which is nice. I think he wants to go to Cache Creek and play some slots, but I’m not sure. I don’t like peppers but I think I’ll try the cheese mixture in zucchini boats with caramelized sweet onions. Now that sounds yummy to me! The mixture would be wonderful in zucchini and adding caramelized onions, yum!! Have a great day!! 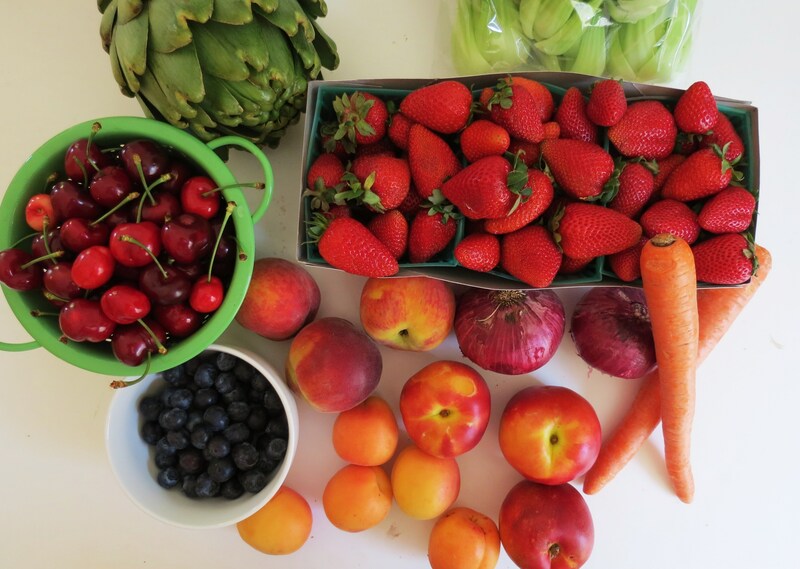 You have more fun at that farmer’s market than a kid in a candy shop! I would totally loose my brains there, it sounds wonderful. My farmer’s market is clear across town, so sad! Your appetizer is quite yummy sounding! I love the Farmers Market for the love of food and it’s shopping! 🙂 Have a wonderful rest of the weekend! Dang girl! You did well at the farmer’s market and TJs. And you found my weak spot – jalapeno peppers. I am skeptical that the fat free cream cheese is just as good. but am Totally willing to give it a try! 😉 Hope you are having a great weekend. Hi Christine, In some recipes, I find that fat free cream cheese works great! In this recipe, I used full fat pepper jack cheese, and the fat free cream cheese made it creamy, I was looking more for texture. You really don’t taste the cream cheese so much in this recipe. You really taste the chicken and the jack cheese, plus the jalapeno of course. If I were making something like a bagel where I would be tasting the cream cheese, I’d probably go for reduced fat. My Husband who likes fatty foods, didn’t notice the difference using fat free cream cheese. 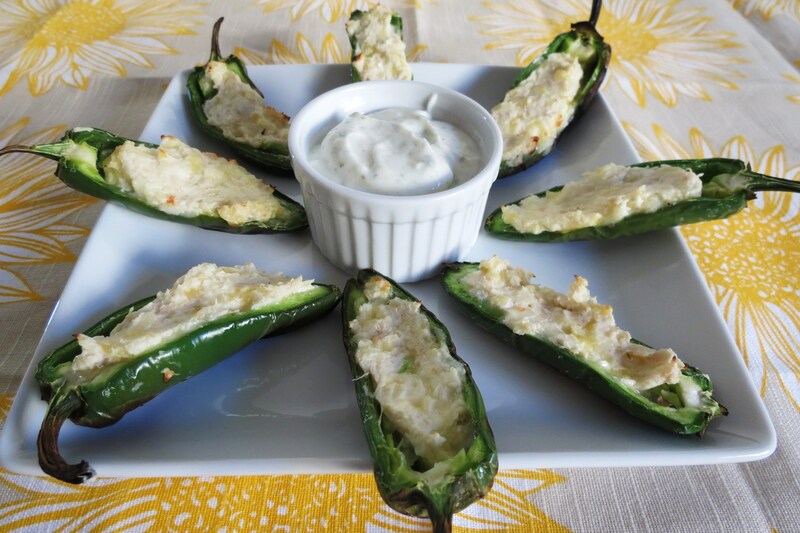 The star of this recipe is really the jalapeno! these look AMAZING! my hubby would love them because he loves spicy & anything with meat!! Thanks! My Husband is the same way, spice and meat!! If you throw in potatoes he’s in his glory! I sure wish I had a Trader Joe’s near me! Thanks Katya! You have a lovely week too!!! These look great! Like buffalo chicken dip (which I’m addicted to… I need rehab) in a pepper. Great appetizer here! I’m with you, we should go to rehab together! Your recipes look soooo good! I can’t wait to start cooking! Thank you!